Progressive companies continue to place great importance on helping to create a gender equal world. 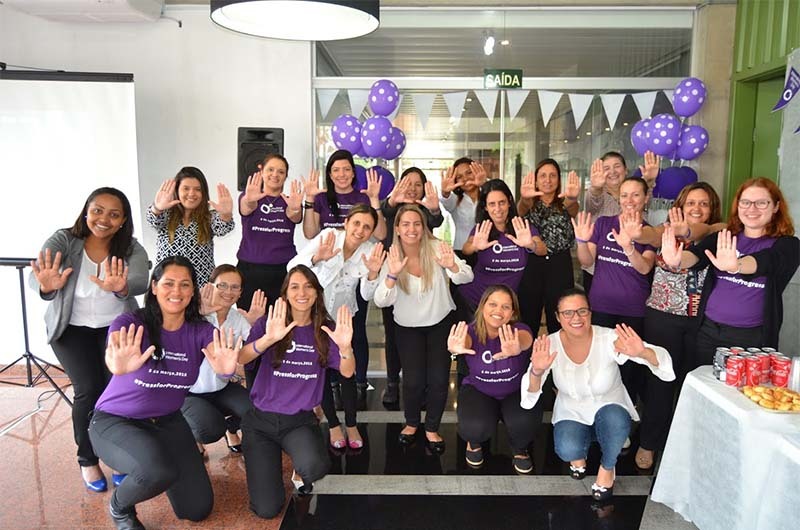 With a clear sense of purpose, leading companies worked to spearhead action through engaging their communities via a collective call to #PressforProgress. The companies reinforced their commitment to gender equality and celebrated the achievement of women, while encouraging action and behaviours that help drive diversity and inclusion. 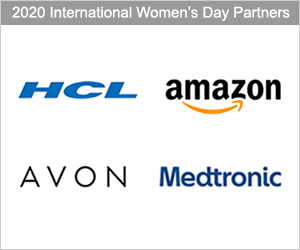 Congratulations to these leading companies for their strong commitment and action supporting and advancing women. Read the whole article or jump to specific companies using the weblinks above. AECOM designs, builds, finances and operates infrastructure projects and programs that unlock opportunity, protect the environment and improve people’s lives. As a global company with offices in more than 150 countries, having a diverse workforce is key to its success. AECOM believes in acknowledging and advancing the achievements of women every day, and International Women’s Day serves as an ideal time to continue to strengthen its commitment. March 8 kicked off a month-long celebration of female talent across its workforce with over 300 IWD events held at 250 locations. 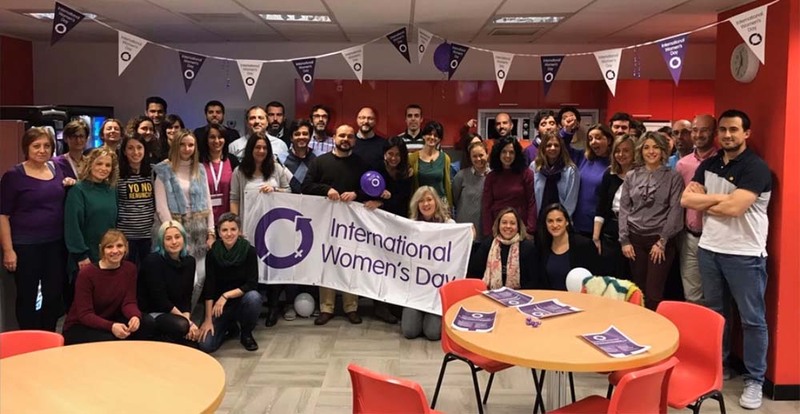 From every geography and field of work, AECOM employees participated in International Women’s Day activities that reinforced inclusive behaviour. AECOM's effort in reaffirming and showcasing its strong commitment to gender equality was nothing short of remarkable. AECOM reinforced the power of collective action for reaching gender parity. "When women thrive, we all thrive" was the engaging mantra as the company works to reach its goal to double its number of women in leadership positions by 2020. AECOM offices around the world engaged in International Women's Day activity. AECOM CEO for Europe, Middle East and Africa (EMEA), Lara Poloni, opened IWD celebrations and outlined her priorities for gender parity. “Despite advances in recent years, we still have a long way to go to achieve gender parity in the infrastructure industry...But, together, we can push harder to #PressforProgress much faster," she commented. Additionally, AECOM's executive leadership publicly shared statements on how they #PressforProgress. AECOM also published an impressive series of engaging blogs where employees discussed their perspectives and thoughts on gender parity. 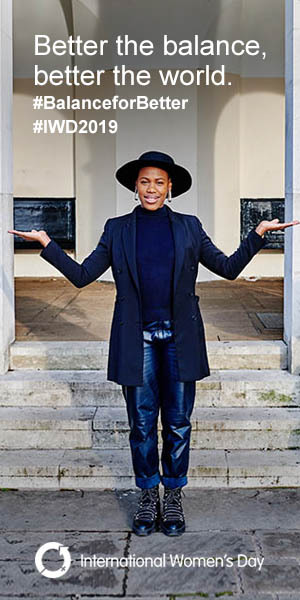 Furthermore, an inclusive leadership toolkit was launched to assist AECOM leaders in their commitment to adopting new ways of thinking and innovative approaches to addressing potential inequality in the workplace. Across AECOM offices and project sites, a wide variety of International Women's Day activities were hosted, including career-planning webinars that saw women leaders share career journeys and tips for career progression. Attended by AECOM employees and stakeholders, events celebrated the women who make AECOM such a pioneering and innovative place to work, and who directly contribute to the company’s success. Coincidentally, IWD coincided with National Apprentice Week in the UK and AECOM took the opportunity for enthusiastic apprentices to shadow female leaders for the day. One highlight saw graduates and apprentices enjoy a networking lunch with the Ice Maidens, the first all-female British military team to cross Antarctica using muscle power alone. Additionally, AECOM’s Chief Executive for the UK and Ireland, David Barwell, hosted a high-powered networking lunch to celebrate AECOM’s female employees who were nominated for the European Women in Construction and Engineering awards. AECOM Associate Director, Roma Agrawal (MBE), a pioneering campaigner for women in engineering, participated in an AECOM panel event discussing the role of women in the built environment throughout history and celebrated the publication of her book, “Built: The Hidden Stories Behind our Structures”. Raising awareness about unconscious bias formed a major part of AECOM's International Women's Day celebrations. AECOM employees in the Middle East organised a range of activities to increase awareness about unconscious bias. Colleagues in Dubai filmed employees reading an imaginary scenario regarding workplace unconscious bias, then recorded responses to it. AECOM’s senior leaders provided an overview of plans for continuing to #PressforProgress for women’s equality throughout the year. AECOM’s Abu Dhabi and Dubai offices hosted insightful panel discussions and provided helpful examples of ways colleagues could advocate for gender equality within their own sphere of influence. Additionally in Bahrain, in collaboration with the Philippine and Indian Embassies, there was a charity collection of clothing and toiletries donations for the Overseas Workers Abused Women charity. AECOM employees particpated in International Women's Day activity that raised awareness about issues impacting women in the workplace. AECOM India (Gurgaon and Bangalore) joined AECOM's global community celebrating IWD by hosting many different staff engagement sessions and workshops including a “dealing with setbacks” workshop. Business leaders in India pledged support to #PressforProgress and staff enjoyed an online quiz about “gender sensitivity” to help raise awareness about issues impacting women in the workplace. Additionally, Chief Operating Officer of Global Delivery Services, Emily Gepner, delivered useful presentations via video conference about choosing career goals and developing interpersonal skills, while an external guest addressed the topic of gender sensitization and unconscious bias. AECOM employees committed to take action to #PressforProgress and help forge gender parity. In Russia, AECOM shifted its previous IWD focus from kindness, gifts and appreciation of women, to focus on developing and advancing more women within AECOM’s workplaces in these regions. International Women’s Day festivities were led by AECOM Chief Executive for Continental Europe, David Whitehouse, who chose the day to announce the launch of a female mentoring scheme to compliment AECOM’s existing mCircles mentoring programme that provides forums for women to discuss and share career development experiences. As a progressive and innovative employer, AECOM is all too aware that women are often under-represented in the engineering sector and may not have access to the same career opportunities within the industry as their male counterparts - a key area to #PressforProgress. AECOM employees in Benelux and Nordics were invited to join a webinar interview between two AECOM leaders with an international track record: Sarah Reid, Sarah Reid, Talent Acquisition Director for EMEA and Duarte Catarino, Regional Director for AECOM’s Construction Services, who shared insightful details and advice regarding their own career paths, discussed their vision for inclusion and diversity, made comments about the importance of flexible work, and explained how they manage equality within their own rapidly expanding teams. AECOM employees used International Women's Day to reinforce key messages, celebrate women's equality, engage colleagues and help forge gender parity. AECOM employees across Africa stepped out to celebrate and support International Women’s Day. A special edition of the region’s internal publication, INSiGHT Africa - distributed to more than 800 employees across the continent - supported IWD and the #PressforProgress campaign theme via a series of articles that highlighted important initiatives that women could engage in to achieve a healthy work-life balance. 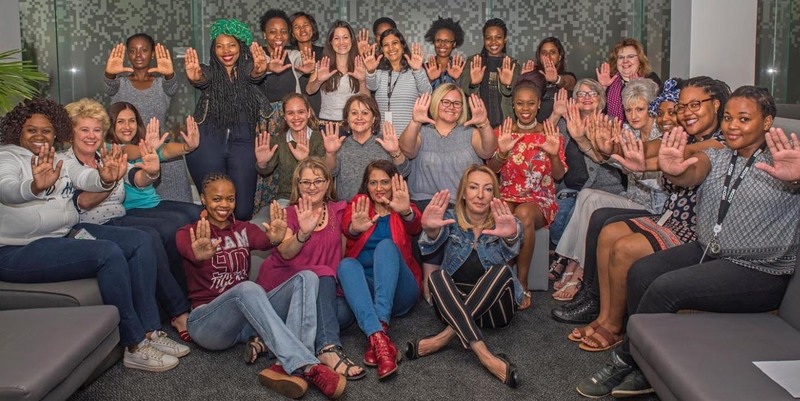 The publication also called for employees to make a pledge in support of IWD and to participate in a local social responsibility initiative that collects sanitary towels for underprivileged school pupils. Also, an informative TED-Talk style session was viewed across AECOM's Africa offices and the topic of “Inclusion, Exclusion, Illusion and Collusion” discussed amongst its audiences. 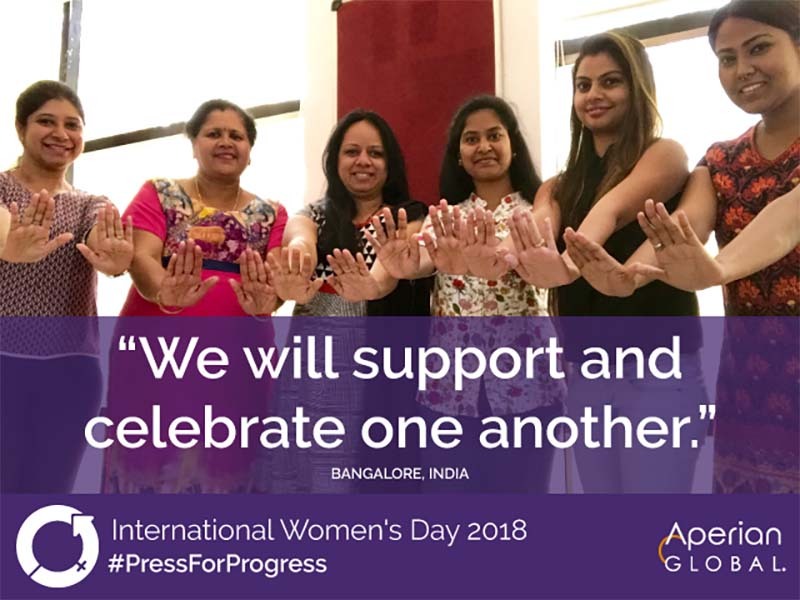 International management consulting firm, Aperian Global, undertook a unique project to celebrate International Women’s Day by demonstrating that no matter where you are in the world, you can commit to #PressforProgress. And while pledges differed across regions, contexts and cultures, every pledge was another step towards gender parity. Aperian Global employees were keen to support International Women's Day and press for progress for women's equality. In an impressive effort to address how to mitigate gender bias in the workplace, and with the overall goal of working towards gender parity, Aperian Global used the #PressforProgress campaign as a vehicle to discuss gender imbalance at the leadership level in Asia, and how women, men and organizations alike can help support and develop more female business leaders around the world. Around the world, employees across many locations, including China, made a press for progress. 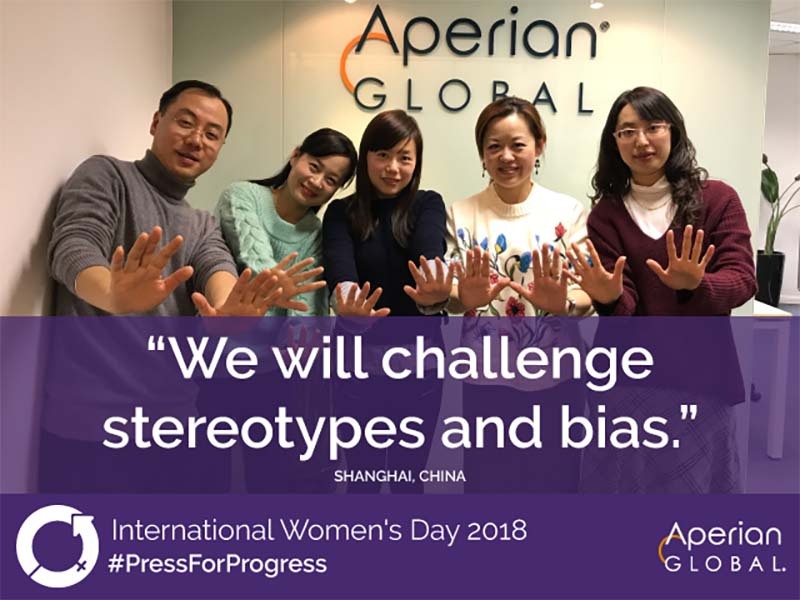 In preparation for International Women's Day 2018, Aperian Global asked each international office to make a pledge to #PressforProgress and share a picture. Teams in Bangalore, India, Boston, USA, Kolding, Denmark, Oakland, USA, Shanghai, China, and Singapore participated - and the project was promoted across Aperian Global's company blog and social media channels. 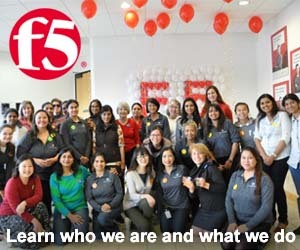 Aperian Global employees from around the world celebrated International Women's Day. Female team members in Singapore held an event discussing gender imbalance at leadership levels in Asia and how men, women and organizations can help drive equality. With insight from the event, Aperian Global developed an informative blog post #PressforProgress: How to Develop More Female Business Leaders in Asia that included tangible steps and actions alongside features about some of the company's senior women and their quotes of support. Additionally, the blog post suggested the proactive steps and measures that can be taken to help mitigate gender imbalance in the workplace via a publicly available downloadable Quick Guide to Mitigating Gender Bias. It was very inspiring work from Aperian Global in fighting gender imbalance in business, particularly in Asia, as they encouraged their employees, clients and followers to take proactive steps to actively mitigate any bias. Aperian Global used the International Women’s Day resources for co-branding their emails, newsletter, blog posts and social media posts - all with weblinks back to the International Women's Day website. International Women's Day event pack resources, decorations and cupcakes adorned AXA XL’s Bermuda office conference area for a motivating and inspiring day that saw the company successfully bring together a diverse community to #PressforProgress. Branded International Women's Day cakes at AXA XL's Bermuda office were a huge success. AXA XL's Women of the World (WoW) Bermuda chapter commenced the day with a team building exercise piecing together a #PressforProgress jigsaw puzzle. Colleagues collaborated to build out the “bigger picture”, symbolizing that everyone can play a part in working for gender equality. 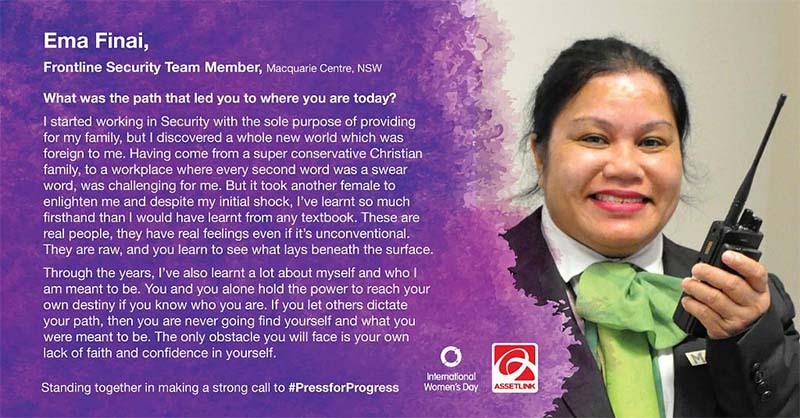 An international Women's Day #PressforProgress jigsaw puzzle proved a clever way to engage colleagues in meaningful discussion on a range of gender issues. Three different audiences were targeted: community, external corporate partners and internal colleagues. Their mission was to raise awareness about efforts required to achieve gender parity through a range of engaging activities with impact. They also sought out multi-generational perspectives on feminism. Purposeful activity at AXA XLfor International Women's Day successfully engaged the hearts and minds of its employees. The company invited the National Debate Team, a group of talented teenagers from Bermuda schools, to debate the motion “Feminism will not create equality”. The Proposition side argued that feminism supported the idea that men are superior and that women should not be fighting for equity but rather liberation. The Opposition side challenged that although there is still much work to do, feminism has in fact worked to improve the state of women worldwide and will continue to make strides toward equality. Both sides provided impressive and insightful perspectives. The National Debate Team debated the motion “Feminism will not create equality”. Colleagues were encouraged to wear purple to support the chosen charity of the day, Teen Haven, a residential treatment program for teens and young women that offers counselling, life skills training, educational opportunities and temporary accommodation to help prepare mothers for effective parenting and independent living. The day concluded with local brokers and external partners participating in a ‘Sip and Paint’ night with local artist and entrepreneur, Robyn Hooper, who created an original art piece of a lioness, representing feminine strength and courage. The #PressforProgress theme encouraged discussion and networking in a more informal setting while the artist provided a step by step tutorial. The activity provided everyone with a memento of International Women’s Day 2018 to forever remind the group to #PressforProgress. Collective fun at AXA XL also leveraged purposeful activity. EnCompass LLC, a women-owned international development company, works to ensure that survivors of gender-based violence have access to multisectoral services and safe, compassionate, respectful, and ethical care. Much of EnCompass’ daily work focuses on preventing and responding to gender-based violence and promoting gender equality. Gender equality is a human right that needs to be inclusive of all, regardless of gender identity, ability, religion, or race. EnCompass wanted staff, partners, and clients to witness and understand the company’s commitment to these principles. So, for International Women's Day 2018, they held a company breakfast to generate conversation about how everyone could #PressforProgress. Attendees heard stories from the field and watched International Women’s Day videos to inspire conversations about inclusivity. Photo of a young girl in Lesotho, via US Government Works. EnCompass’ activities on International Women’s Day focused on bringing awareness to the continued existence of gender inequality, aiming to personalize the statistics we read about every day. Through Lerato’s story, EnCompass illustrated the importance of clearly articulated referral pathways and case management systems to ensure timely and relevant care for survivors of gender-based violence. The company also facilitated deep discussions about how each person could take steps to help #PressforProgress. EnCompass' impressive and inspiring activities also included a sticky wall that encouraged staff to make their personal commitments to #PressforProgress. In a company video, President Sherry Rockey reinforces EnCompass’ commitment to gender equality, “not because it’s the right thing to do, but because inclusive development is effective development.” CEO and CFO Tessie Catsambas is also featured, saying, #PressforProgress “is about a chain of women … working together for big change, and we want men to be part of it, too." An important part of commemorating International Women’s Day is sharing personal stories that epitomize statistics, such as the global statistic that one in three women will experience violence in her lifetime and the strong correlation between gender-based violence and HIV transmission. For EnCompass, International Women’s Day was (and is) a chance to reflect on the impact their assessments, analyses, evaluations, and training have on individuals who have been affected by gender-based violence or exclusionary social practices. It’s true! Progress happens one impact at a time. Assetlink, a leading integrated facilities services company in Australia. As part of International Women’s Day, they wanted to celebrate and share the stories of the incredible women within their company – from frontline team members to business leaders. Cultural diversity is one of Assetlink’s greatest strengths, so teams from across Australia joined in to recognise and celebrate the achievements and contributions of their exceptional women. They then set about to create a set of diverse profiles which any Assetlink woman could relate to, regardless of position. Assetlink celebrated the engaging stories and wisdom of their female employees for International Women's Day. Many women at Assetlink shared their personal career journeys and contributed their views on how to #PressforProgress. 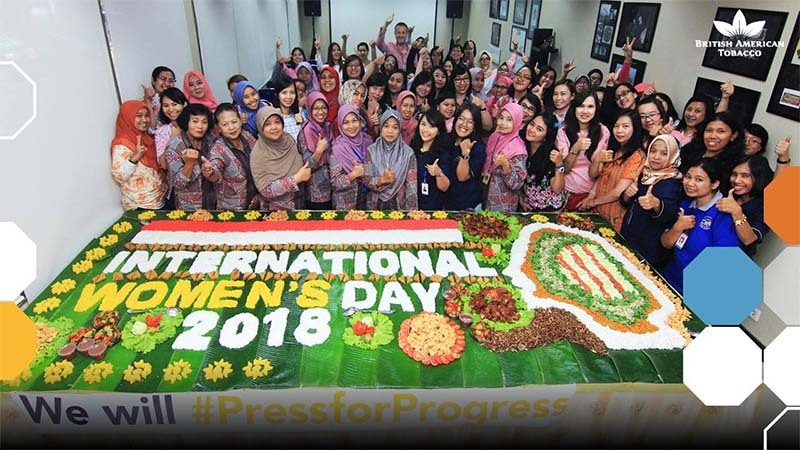 To ensure organisation-wide participation and celebration of the important #PressforProgress campaign, Assetlink encouraged teams to take part in activities not just on International Women's Day, but throughout the whole month of March. International Women's Day Event Packs that included selfie cards, instructions and posters were distributed to sites ahead of time, making it easy for frontline teams to get involved and join the global call. 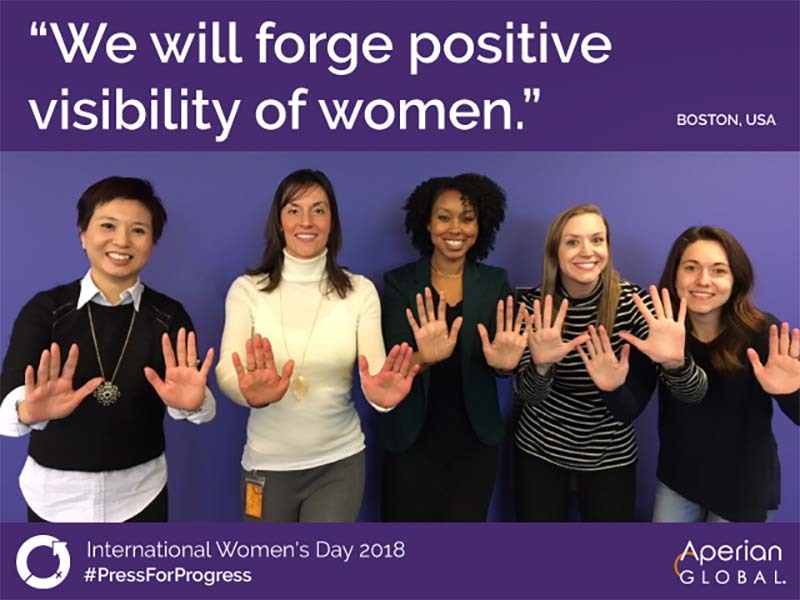 Team members were encouraged to take photos with the IWD selfie cards incorporating the ‘hands out’ #PressforProgress pose symbolising their commitment. 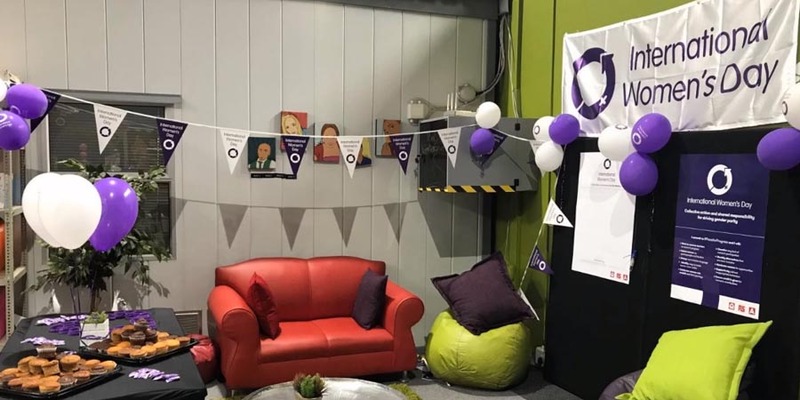 Celebrations took place at multiple Assetlink sites and support offices across Australia, with various morning tea gatherings organised in support of International Women’s Day. 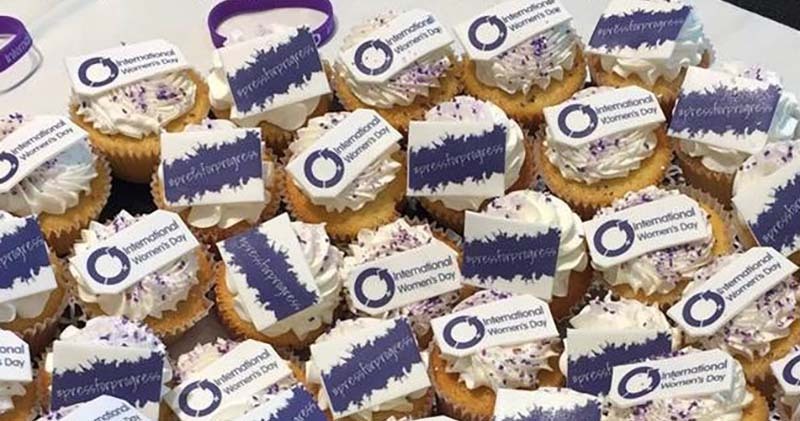 Over purple-themed cupcakes, team members discussed the importance of not only encouraging and celebrating the achievements of women but also the progress needed to support gender parity. To further compliment these activities, Assetlink developed a dedicated page on their intranet. They also published multiple news articles to highlight campaign activities and communicate how teams could get involved. Assetlink made a series of engaging social media cards to widely share their women's messages for International Women's Day. 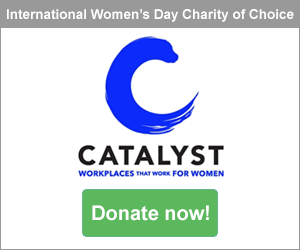 “Following Assetlink's exceptionally empowering #BeBoldforChange campaign theme work back in 2017 that garnered immense participation and support, we carried forward a united front to #PressforProgress in 2018," explained Assetlink's International Women's Day organising body. Ansell is a world leader in safety solutions, with a diverse, global workforce spanning 55 countries. 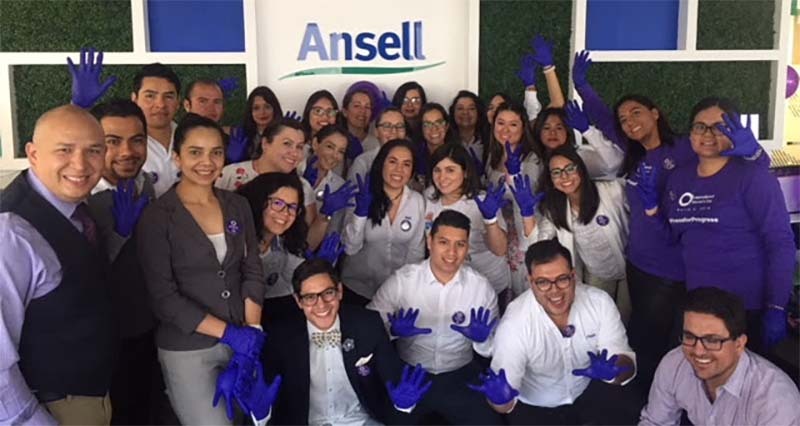 Ansell teams around the world celebrated International Women's Day with their colleagues. Ansell’s International Women’s Day activity was led by their Women’s Leadership Forum - a cross-functional and geographically diverse group of women and men responsible for supporting, monitoring, reporting and driving progress on the company’s gender diversity goals through a global platform. The IWD steering committee was strategically structured to provide representation from each of Ansell’s four global regions and all operational and functional areas within the company. Ansell successfully facilitated engagement and conversation about gender diversity across its global landscape over a very inclusive and genuinely exciting 24 hours. 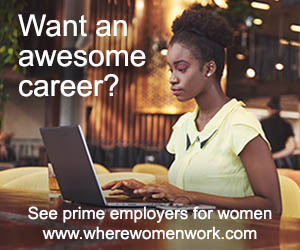 All Ansell employees - even those who work remotely - everywhere shared in a day that recognized and celebrated the contributions of female employees and highlighted their potential. A wall of pledges reminded Ansell employees about the importance of committing to action on International Women's Day and beyond. International Women’s Day provided a significant opportunity for the company to highlight its mentorship and training programs and its commitment to developing women professionally, while celebrating the contributions of women in each facet of the company’s business. IWD activities were designed to be inclusive and encourage feedback via suggestion boxes, discussions, lunch-and-learn presentations, and incorporated technologies such as Skype and video conferencing to enable wider participation. 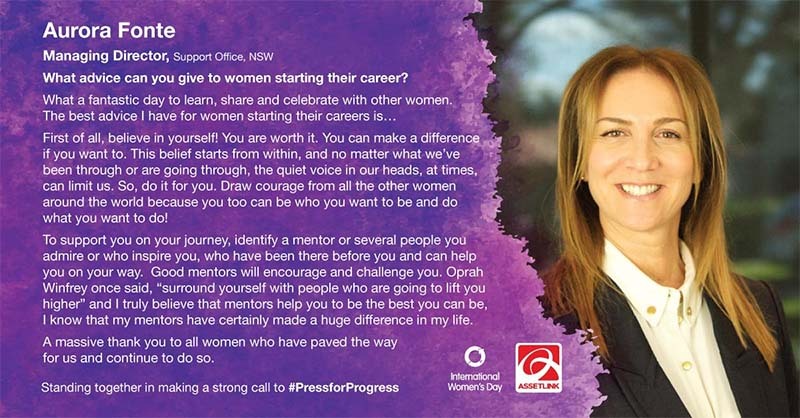 Banners, posters, desk drop fliers and other #PressforProgress materials were translated into 16 local languages, adopting a “glocal” (global local) approach that localized experiences yet reinforced the global #PressforProgress message as well as Ansell’s own global commitment to women. Ansell employees participated in a range of team events to celebrate women's achievements in the company and support the company's focus on International Women's Day . Magnus Nicolin, Ansell’s Managing Director and CEO was visiting the company’s office in Russia on International Women’s Day and celebrated the traditional Russian holiday symbolizing the push for women's rights, equality, democracy and peace. Ansell's 18-member Executive Leadership Team were highly engaged as they led and participated in IWD activities around the world. International Women’s Day helped Ansell to increase gender diversity awareness and it provided a global platform for opportunities to network and share information, stories, expertise and knowledge. A firm #PressforProgress was seen right across the company as Ansell employees collectively firmly committed to action. Post International Women’s Day articles and images were shared throughout the company and at the board level - and the call to #PressforProgress continues. See their CSR/Sustainability Report. VIDEO: Ansell's International Women's Day company-wide activity had great impact. Global giant distributor of electronics and industrial products, Electrocomponents, is committed to building a more diverse and inclusive culture at the heart of its strategic vision of becoming first choice. International Women's Day served as an important opportunity for reminding its employees that collective action was needed to break down barriers to women's progress and that momentum was needed for achieving gender parity. Electrocomponents and its brands RS and Allied adopted a global approach combined with localised activity by sharing consistent messages across countries and brands while facilitating local discussions and debate. VIDEO: Electrocomponents developed an impressive video that featured commitments from over 50 women across the company. Electrocomponents produced an insightful video to celebrate and represent women across their business from all locations, ages and levels of seniority. More than 50 women from around the world participated in the making of the film in their own languages explaining which of the IWD commitments were most important to them. 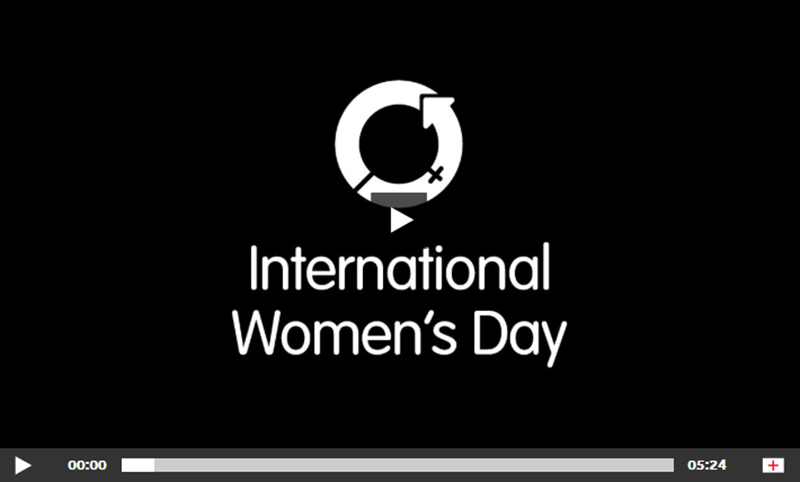 A centrepiece of Electrocomponents' IWD campaign, the film was shared with employees worldwide as part of their internal communications and shown at the company's local IWD events globally and viewed by more than 1,250 people in its first week. The company's Senior Leadership Team was attending the leadership conference externally on IWD, so they celebrated the day there. This was supported by a strong female keynote speech at their event, coupled with inclusive leadership training. The IWD Event Pack was used to decorate the Leadership Team's conference area and all delegates received the IWD wristband to wear. The company also ran an ‘In Your Name’ campaign which was launched on IWD where colleagues were invited to sign up to a variety of IWD commitments in the name of a woman in their life to increase the feeling of responsibility for all and to drive further action. Electrocomponents' HR and Internal Communications teams ran events in 20 locations around the world that included lectures, discussions, competitions and quizzes. All activity delivered a consistent audience experience through the IWD Event Packs. The day’s activities were supported by external and internal communications including via social media, the company's intranet, their corporate website and internal newsletter and magazine. Electrocomponents devoted its intranet news pages exclusively to IWD during the week to ensure maximum impact. IWD also saw the creation of Working for Women Communities across locations. VIDEO: Electrocomponents support for International Women's Day was a success. BAT's Management Board, Executive and Senior Management sponsored an International Women's Day campaign across the world. Celebrating the day across 46 countries, the company seized the opportunity to educate employees about the meaning and history behind IWD, and to reinforce the importance of gender parity. Agricultural and FMCG markets provide significant employment for women around the world. 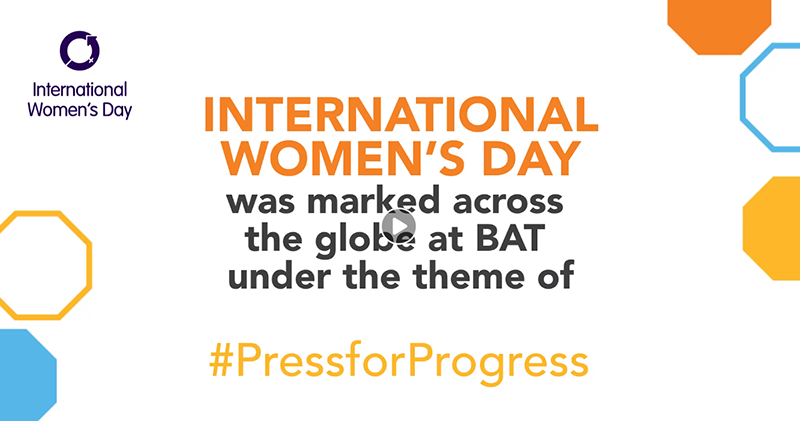 Across many countries the development of BAT products provides a livelihood for many women and contribute to supporting the development of the communities in which they live. 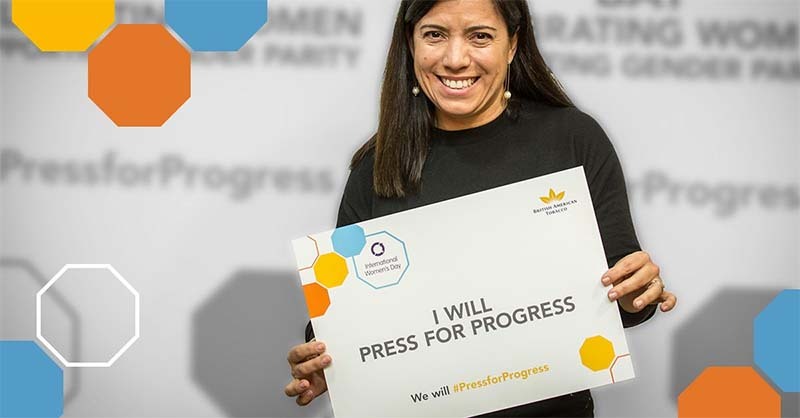 The company wanted to provide employees with an opportunity to make individual commitments to #PressforProgress, and International Women's Day provided a timely opportunity. Across the company, employees helped raise awareness about gender diversity, shared their progress and made new commitments as individuals. Internal activity reinforced the importance of International Women's Day for celebrating the role women play in the workforce. 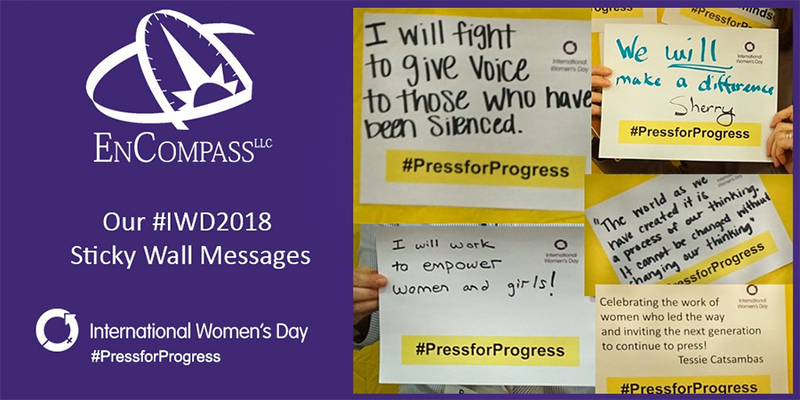 The company delivered an engaging session at their London headquarters that saw an interactive Q&A session with their female Chief Information Officer, where attendees were given the chance to make #PressforProgress pledges, take photos with selfie cards and champion action. Across countries, BAT employees participated in selfie card contests where they came up with inspiring pledges directly linked to accelerating gender parity and sent a photo to the organizing team who announced winners in different categories. BAT's selfie card contest inspired employees to really think hard about ways they as an individual could influence change and continue to #PressforProgress. Employees stepped forward to commit to action that helps forge gender parity. And in further countries, informative sessions were held involving external speakers. These events reinforced the importance of gender parity and addressed ways that BAT employees could help achieve equality. 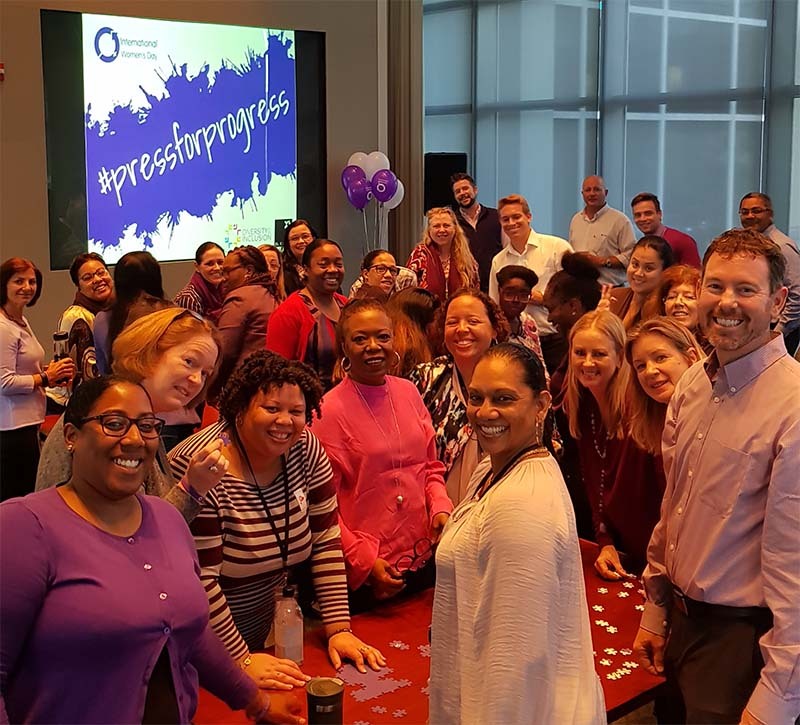 Overall, the company's employees were very engaged as champions for driving change and IWD was a great success, with more to come in the years ahead. VIDEO: International Women's Day activity was delivered company-wide across its countries of presence.